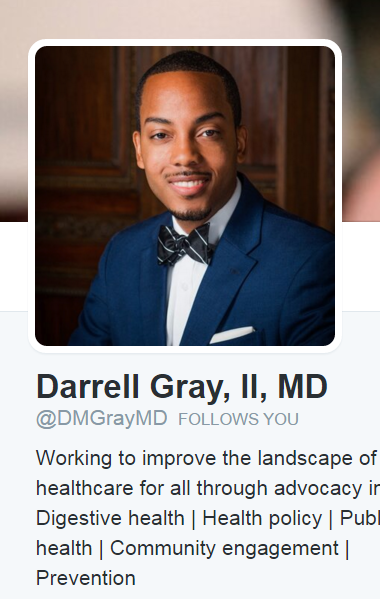 Some physicians are engaging actively via Twitter. 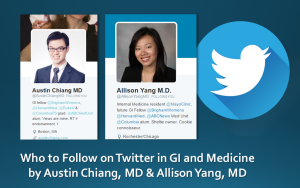 As members of the ACG Public Relations Committee we took on the challenge of compiling a dynamic list of “Who’s Who” among physicians on Twitter with an impact on GI and patient care generally. More names will be added, maybe yours! 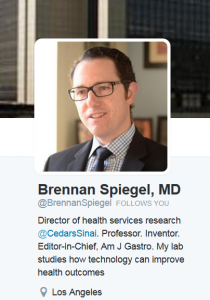 Why you should follow: One of the most active GI voices on Twitter, Dr. Spiegel serves as both Editor-in-chief of the American Journal of Gastroenterology and Director of Health Services Research at Cedars-Sinai. He serves on the FDA Gastroenterology Field Advisory Board and is at the forefront of where technology and medicine intersect. Why you should follow: Dr. Greenwald represents the College at the National Colorectal Cancer Round Table where he chairs the Public Awareness Task Force. 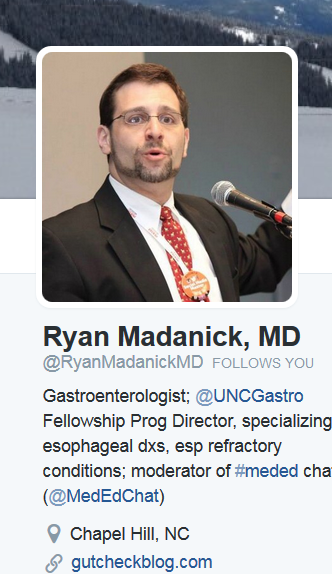 He is a leading voice in the national initiative to screen 80% of eligible U.S. adults for colorectal cancer by 2018. Why you should follow: Winner of the ACG’s 2015 “Grand SCOPY” Award and the ACG 2015 Community Service Award, Dr. Gray is a passionate advocate for colorectal cancer screening and Assistant Professor of Medicine at The Ohio State University Wexner Medical Center. 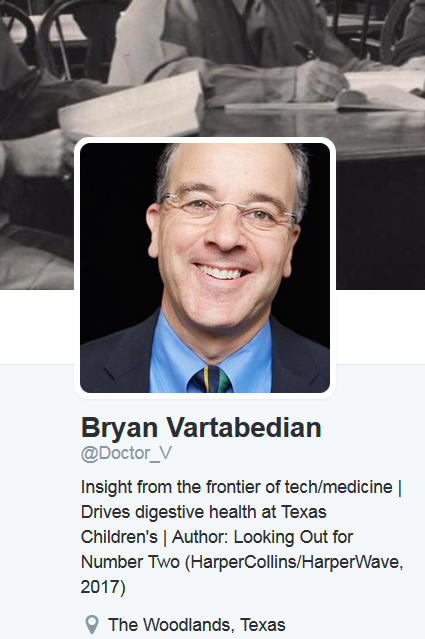 Why you should follow: A pediatric gastroenterologist at Baylor and Texas Children’s, Dr. Vartabedian served as founding advisor for the health care track of the SWSX Interactive Festival, co-founded The Medical Futures Laboratory at Rice University, and is author of the upcoming book Looking Out for Number Two - A Slightly Irreverent Guide to Poo, Gas and and Other Things That Come Out of Your Baby. 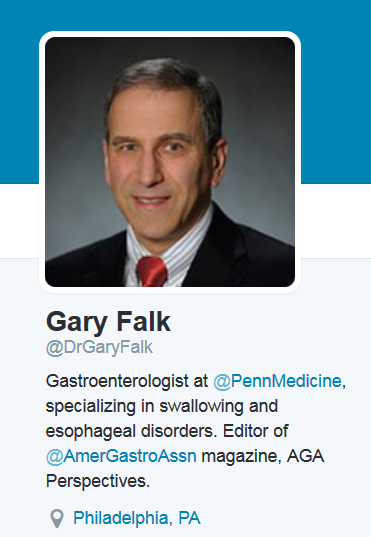 Why you should follow: Dr. Falk is a Professor of Medicine and co-director of the Esophagology and Swallowing Center at Penn. 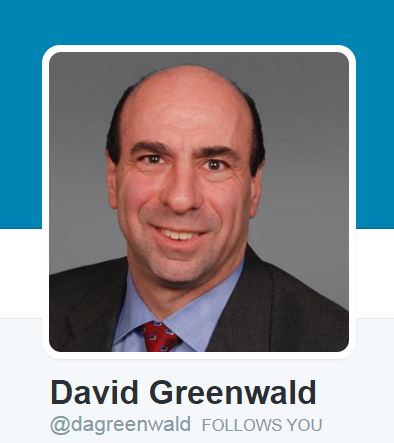 He serves as the Editor of the AGA magazine, AGA Perspectives. 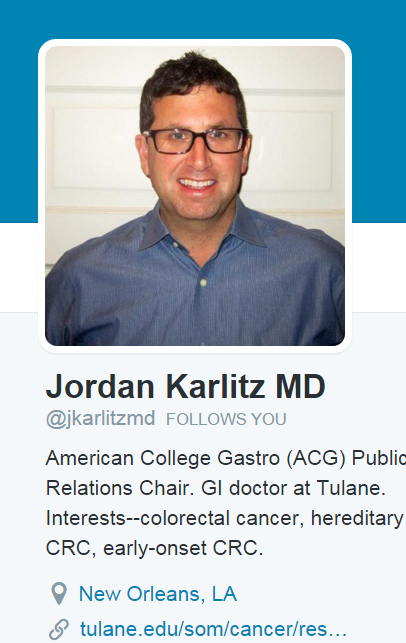 Why you should follow: Dr. Karlitz is Chair of the ACG Public Relations Committee. He is Assistant Professor of Medicine at Tulane and his research interests include familial colorectal cancer syndromes and IBD. 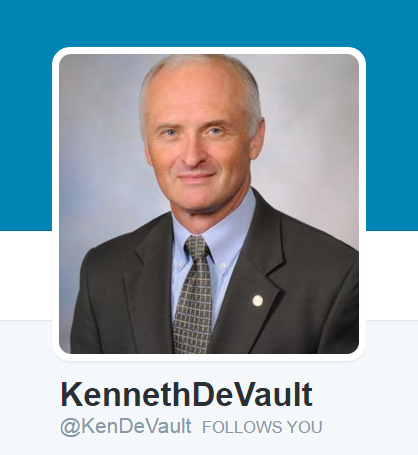 Why you should follow: Dr. DeVault is the 2015-2016 President of the American College of Gastroenterology (gi.org). His research interests include esophageal disease and he serves as Chief of Medicine at Mayo Clinic in Jacksonville, Florida. 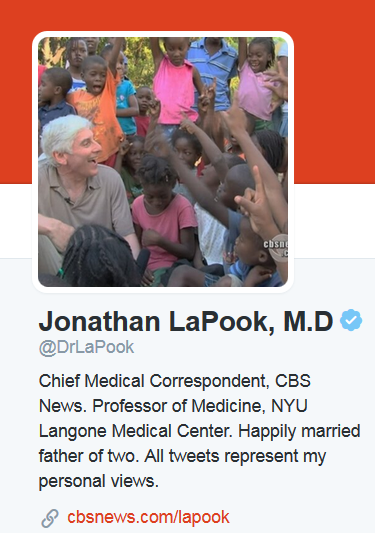 Why you should follow: The Chief Medical Correspondent for CBS News, Dr. LaPook is professor of medicine at NYU Langone Medical Center. He is the founder of the NYU Langone Empathy Project and a regular contributor to “CBS This Morning,” the “CBS Evening News,” CBS Radio, and CBSN. 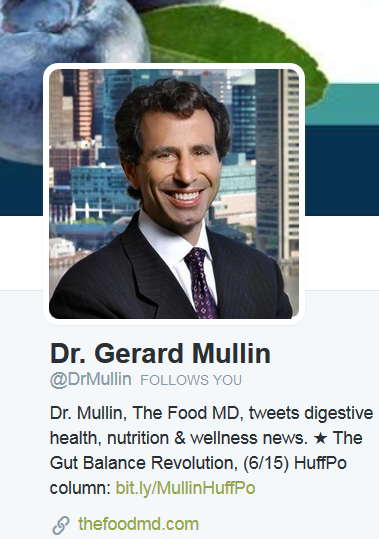 Why you should follow: Also known as The Food MD, Dr. Mullin is the director of the Integrative GI Nutrition Services at The Johns Hopkins Hospital. He is a contributor to the Huffington Post, the editor of Integrative Gastroenterology and has published several books including The Gut Balance Revolution: Boost Your Metabolism, Restore Your Inner Ecology, and Lose Weight for Good! Why you should follow: As medical correspondent for Good Day NY (Fox), medical editor of Health magazine, and contributor to various television shows and publications, “Dr. Raj” is one of the most visible GI personalities to lay audiences. 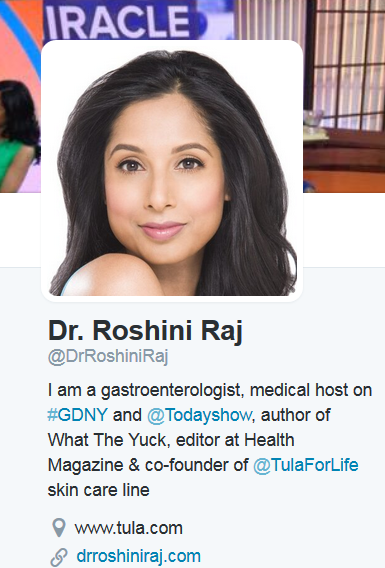 She also serves as an Associate Professor at NYU Langone. 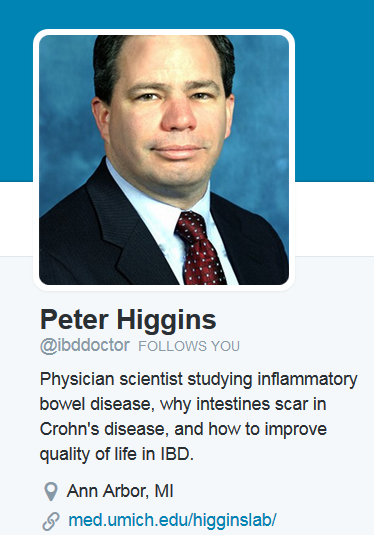 Why you should follow: The director of the IBD program at the University of Michigan, Dr. Higgins currently serves as the IBD editor for the American Journal of Gastroenterology. 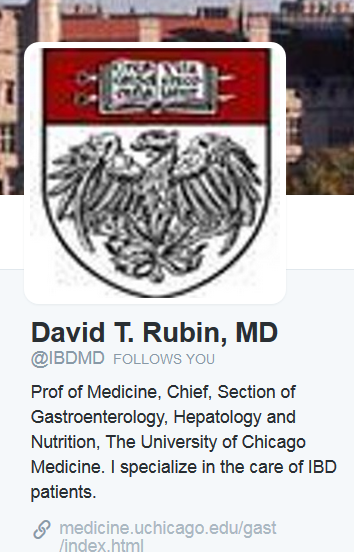 Why you should follow: Dr. Rubin is professor of medicine and chief of the Section of Gastroenterology, Hepatology and Nutrition at the University of Chicago. 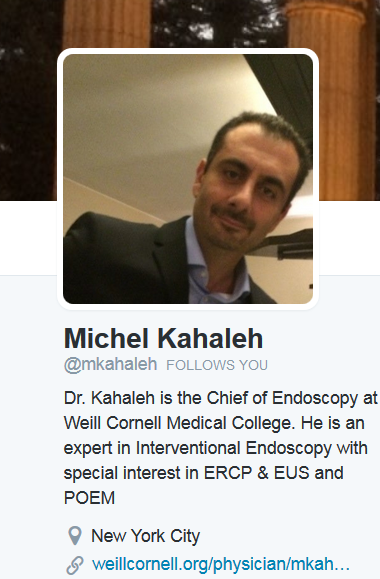 His clinical interests are in inflammatory bowel diseases. 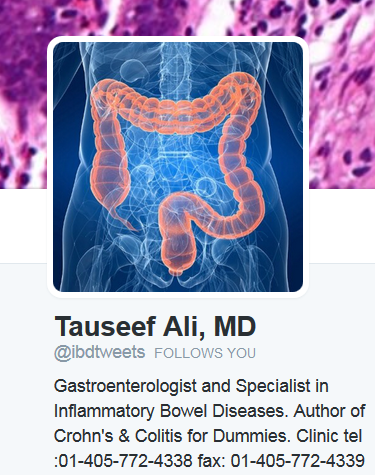 Why you should follow: An active voice on Twitter, Dr. Ali is Director of the IBD Center and associate program director of the GI fellowship program at the University of Oklahoma. 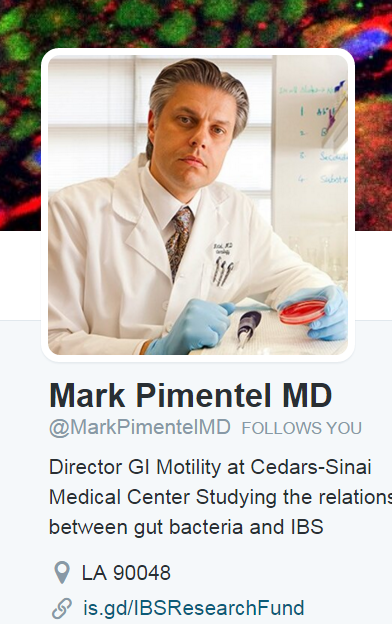 Why you should follow: Author of A New IBS Solution, Dr. Pimentel is currently the Director of GI Motility at Cedars-Sinai and an Assistant Professor at UCLA. 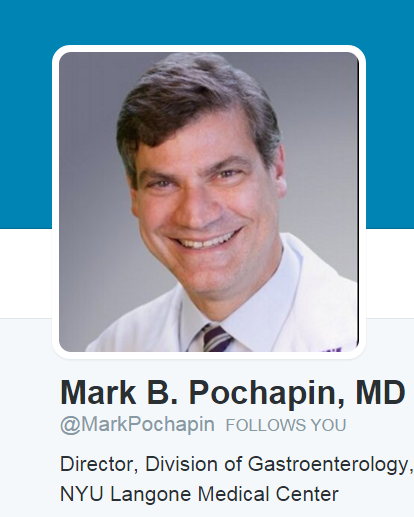 Why you should follow: Dr. Pochapin is an energetic and articulate colorectal cancer screening advocate, active on National Colorectal Cancer Round Table, and serves as Director, Division of Gastroenterology, NYU Langone Medical Center. 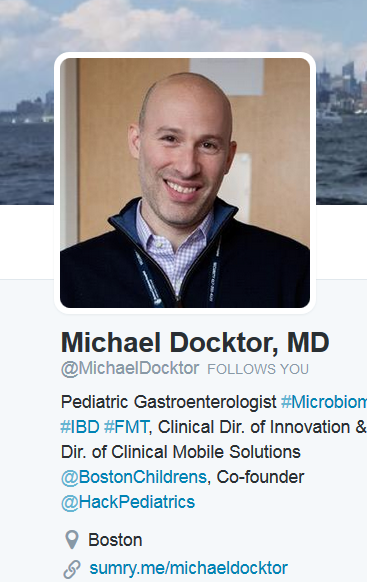 Why you should follow: Dr. Docktor is a pediatric gastroenterologist who serves as Clinical Director of Innovation and Director of Clinical Mobile Solutions at Boston Children’s Hospital. Together with MIT, he has sought to unite bright minds in Boston by co-founding Hacking Pediatrics (@hackpediatrics), to generate innovative solutions to transform pediatric healthcare. 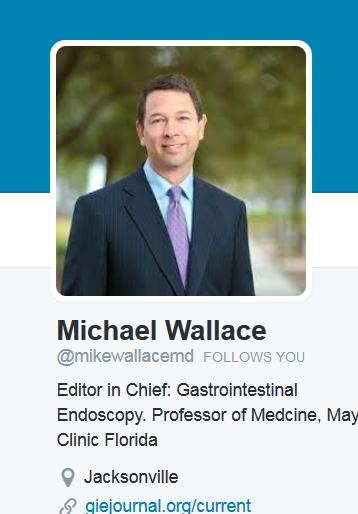 Why you should follow: A Professor of Medicine at the Mayo Clinic in Florida, Dr .Wallace is Editor-in-chief of Gastrointestinal Endoscopy. Why you should follow: Dr. Chopra is a professor of medicine at Harvard Medical School and the James Tullis Firm Chief at Beth Israel Deaconess Medical Center. 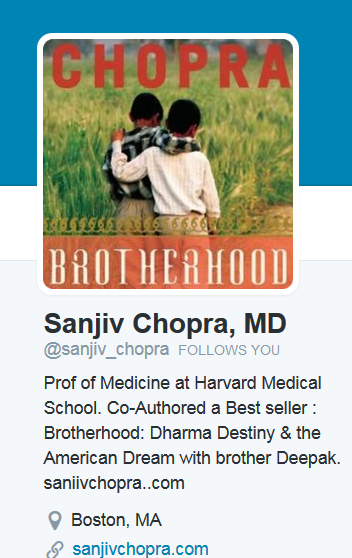 He is also editor-in-chief of the hematology section of UpToDate and author of the best selling book Brotherhood: Dharma Destiny & the American Dream.